An enterprise supplier – or a supplier who has direct relationships with other suppliers in related industries – is well-equipped to overcome any outsourcing challenges you might face. Whether you’re concerned with parts procurement, quality assurance, cost or labor, the right supplier partner will work tirelessly to ensure none of those concerns become a problem. The value of those relationships within the enterprise makes your outsourcing partner stronger and better able to serve you. Here are five reasons to partner with an enterprise supplier for your outsourced products or assemblies. If your outsourcing partner shares common ownership with a metal fabrication company and a software development company, for example, you could commission your partner to build an exercise device that monitors the user’s activity and shares it to a mobile app. In this case, your company would manage one relationship with your assembly partner, and your partner would work with its sister companies to deliver the complete product, fully assembled. This type of partnership can also make it easier to address quality issues efficiently, as your outsourcing partner has direct access to each supplier within the project. 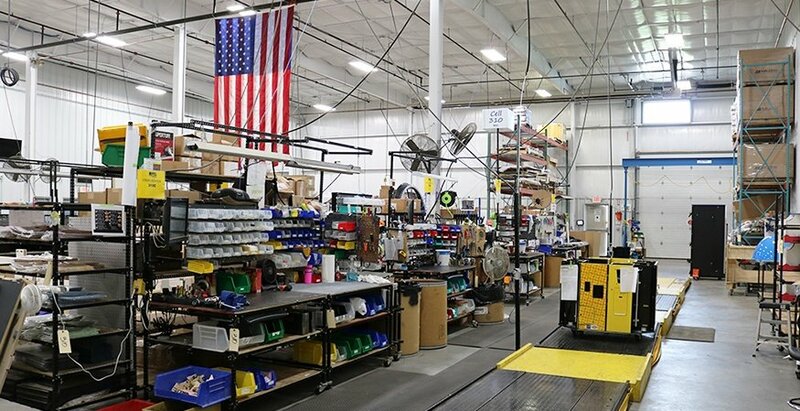 The manufacturing industry is in the midst of a skilled labor shortage, and you might find it difficult to properly staff your production facility to build everything you need to get out the door. Or, maybe you’re simply running out of floor space. An outsourcing partner with ties to an enterprise will be able to reallocate labor efficiently based on workflow, borrowing any available labor from sister companies or sharing floor space accordingly. As a customer, you may have very specific requirements for your products, and an outsourcing partner with diverse sister companies will also have access to their capabilities. Within each of those companies, you’ll find teams of people with years of experience. As your outsourcing partner works through your requirements, it will tap into all of that expertise and find ways to deliver exactly what you need. This also opens the door to innovation and a deeper partnership, as your enterprise supplier works to deliver an even better product for you. As part of an enterprise, your outsourcing partner will also have a strong financial portfolio. With more companies contributing, your partner will be able to minimize the effect of market swings and maintain a healthy balance sheet. For you, that means it will invest in growing its capabilities to serve you better. Your outsourcing partner will be better suited and more willing to take a risk on new work that may not have a clear place in your market yet. An enterprise supplier will have thousands of connections within the industries it works with and the communities it serves. As a true outsourcing partner, it will introduce your company to anyone within that circle, referring you to other companies with the resources you’re looking for or helping you make connections with possible new customers. This is arguably the most impactful reason to connect with an enterprise supplier, as it will ensure you get what you need today and help you grow in the future. With an enterprise supplier, you’re getting much more than what you pay for your fully-assembled product or subassembly. You’re gaining access to a powerful machine – a partner that will go out on a limb for you to get the job done, has the expertise to look for improvements, and might even introduce you to your next big opportunity. MCL Industries is an enterprise supplier with direct connections to a metal fabricator, game developer, press manufacturer, mobile app developer and more within The Village Companies. If you’re building your products and thinking about buying subassemblies – or complete products - from an outsourcing partner like MCL, put some numbers into our Build vs. Buy Calculator to find out if the change could have a positive ROI. Click the button below to get started.